With All American Pool-N-Patio, Inc., in Orlando, FL, your pool cleaning will take place on the same day at about the same time each week for consistent service. What's more, we leave you a door hanger informing you of what service was performed and any notes you may need to know (necessary repairs, etc.). All American Pool-N-Patio, Inc. in Orlando, FL also provides pool clean up services for neglected pools, changing the water from goopy green to a beautiful azure blue. With over 260 years of combined experience, our pool cleaning service technicians are career men and women. You can trust your pool cleaning service care to our experienced staff. We offer a combination pool cleaning services for customers who want some hands-on work with their pools or are more budget-conscious. 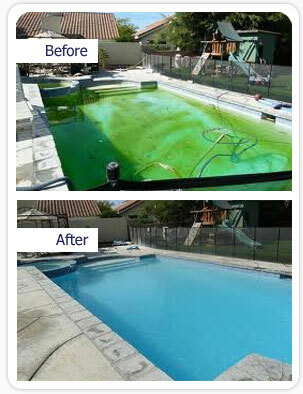 Our technicians in Orlando, FL will service and clean your pool weekly and add chemicals two times during the month. In addition to these services, we offer temporary pool cleaning services to those homeowners who only need short-term pool care. We also provide In-Store bench repairs for pool cleaners at no labor charge - just the price of the necessary parts.